When I first sat down to get to know Felipe and Iris, it was clear to me that these two are a perfect pair, and their enthusiasm for their big day got me just as excited even though they had just started planning everything out. 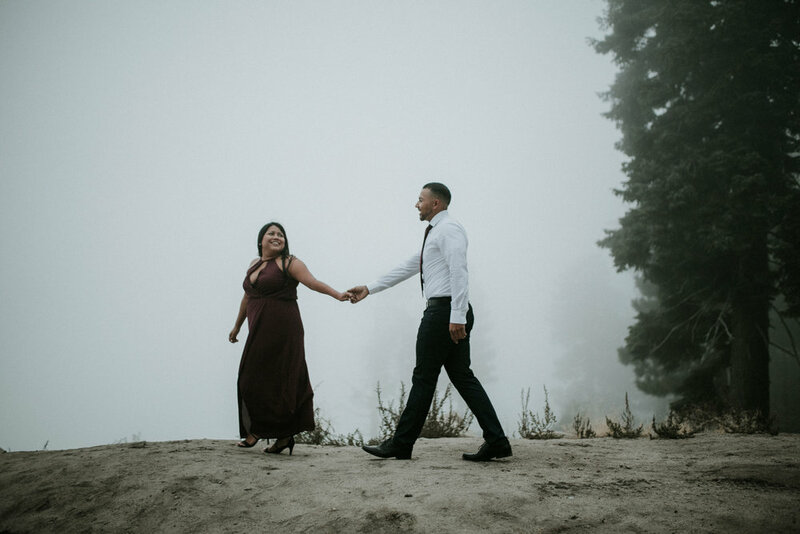 We decided to head up to Twin Peaks for their engagement session, and things could not have gone any better! Felipe is a huge Green Bay Packers fan, and we joked about having a Green Bay wedding! Rightfully so we had to do a few photos sporting some of his gear, and I am almost certain he will be sporting some green and yellow at his wedding. We strolled around the woods, found some epic spots for photos and had an amazing time watching these two fall in love all over again. When we reached the peak of the mountain, the fog rolled in. 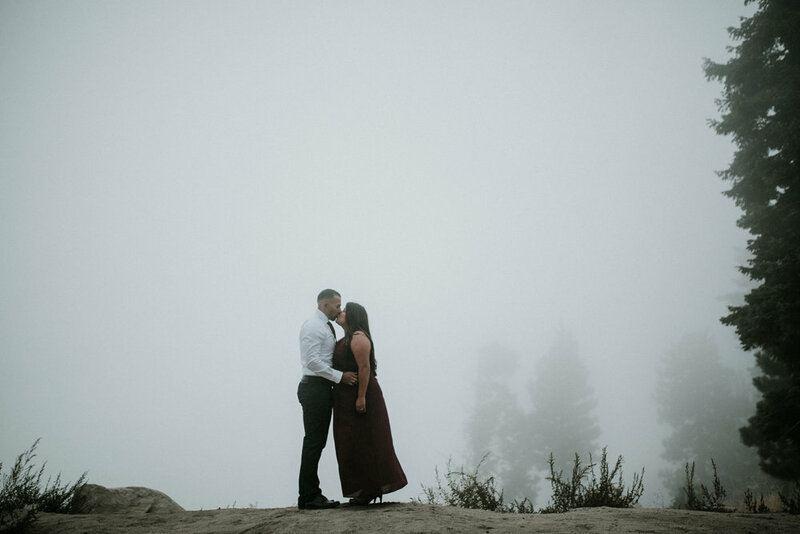 It got a little windy, and a little cold, but it did not phase either Felipe or Iris and it made for some pretty magical photos.